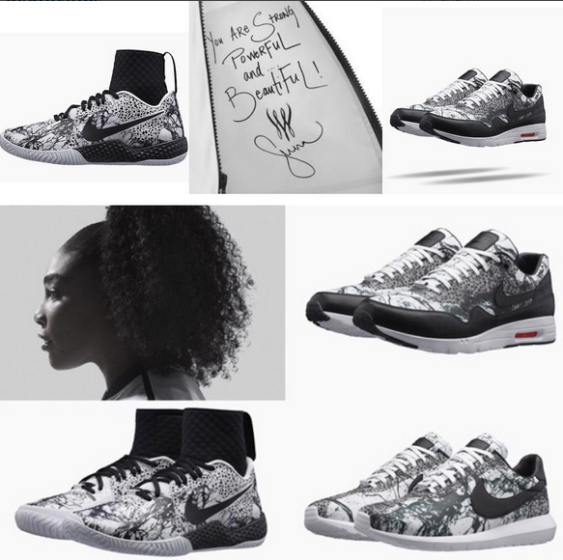 Tennis greatest player Serena Williams has partnered with Nike to produce 3 sneakers to be included in their 'Greatness Collection.' 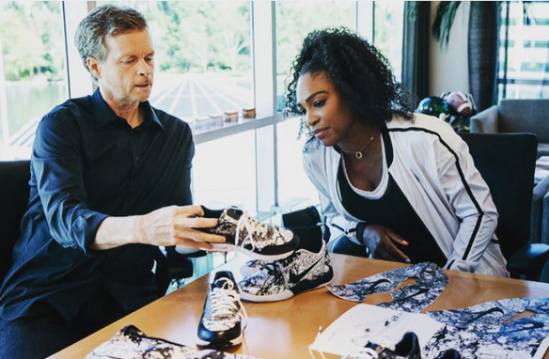 The sneakers are named the 'Nike Air Max 1 Ultra, 'Nike Roshe LD-1000# and NikeCourt Flare. Serena is pictured above with Nike designer, Mark Parker.